"Before listing my, home Patti came in and educated me on what needed to be done in and around the home before going on the market. Within 12 hours of listing my home at the high side of the market I received two offers from potential buyers resulting in a contract for full listing price. Fast and painless!" I had been trying to sell my home for over 2 years. I have never experienced this level of care and professionalism! "I have never experienced this level of care and professionalism in the real estate process. Patti helped us sell our home and helped us purchase another home. She actually cares about her customers and will work very hard to take care of them to accomplish their goals." I would highly recommend Patti as a Realtor! "I would highly recommend Patti as a Realtor! We cancelled our listing agreement with our previous Realtor who wasn’t getting us many showings. Once we listed our house with Patti, we received an offer in 8 days! We were on a tight schedule because we were moving cross country, and Patti sold our house quickly. She knows the real estate business and is GREAT at what she does. We are so happy we listed our house with Patti!" Many thanks to Patti for getting our house sold! "Many thanks to Patti for getting our house sold after it was on the market for three months with no legitimate offers. After seeing several of Patti’s listings sell when mine was not, we called Patti and listed with her, had the house staged, and the “under contract” sign was up in less than two weeks. We couldn’t be happier with her service from listing all the way through closing and quick results. She was wonderful to work with – positive, helpful, and knowledgeable of the market and most importantly always had our best interests at heart. We understand why her slogan is – Call Patti and start packing!" My real estate experience with Patti was wonderful! "My real estate experience with Patti was wonderful. From the moment she stepped into my house until the moment the contract was signed, Patti was helpful, available, informed, and active on my behalf. I have never been through such a pleasant, efficient, swift and satisfying sale. 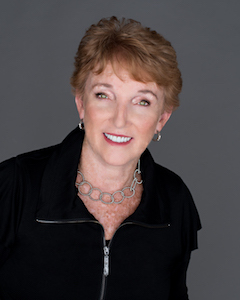 If you are looking for the best realtor in town, you have to call Patti." Other agents look like amateurs! "I've been involved in the buying and selling process of 12 different homes and then we found Patti. She made the other agents look like amateurs. None of my previous agents came close to the level of attention, assistance, and knowledge that she provided. Her expertise on how to present our house to sell was spot on perfect. She knew how and why we should price it to sell. In buying she dealt with a difficult seller for us and earned many gold stars. She helped us find the perfect home and then found the perfect buyer for the one we sold. If you are looking for someone who cares about you what you want then Patti Schreiner is the agent for you." "Patti helped me sell my home in a very short time. Her initiative, drive and enthusiasm put her a step above other real estate agents. Patti’s passion and love for her job is evident to everyone in which she comes in contact. Her expertise on the housing market, whether buying or selling, is quite impressive. She immediately put me at ease. I could not have hoped for a better experience!" Patti was a pleasure to work with! "Patti was a pleasure to work with. She went above and beyond to sell our house. She made it her personal mission to get our house sold! She stayed in constant communication with us since we had already moved out of state and was very responsive when we reached out to her. I always felt like Patti was "on our side." I've worked with other realtors and I didn't always feel that they had our best interest in mind. It was immediately evident to us that Patti has many, many years of experience. We felt very confident entrusting her with the sale of our house." "Patti was pleasant to work with and listened to all our thoughts and concerns. She definitely wanted to sell our house, and she did! Patti is a resident of our neighborhood community and very visible as a Realtor here, which gave us confidence that she had the knowledge and connections to sell our home." We had the pleasure of working with Patti! "Super nice lady! We had the pleasure of working with Patti last year and would recommend her without hesitation. Professional, courteous, hard working and just a pleasure to be around." "Patti helped us sell our house in a very short period of time. She is an expert on knowing how to price homes to sell while getting the most for the homeowner at the same time. She knows how to market homes to local and out-of-state buyers as well. Patti is extremely easy to work with and makes the process very smooth. We highly recommend Patti to anyone looking to buy or sell a home."